Our organic cacao farm on Reserva Zorzal and our Zorzal-Communitario partners supply fine-flavored cacao beans to artisan chocolate makers. 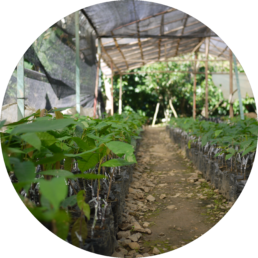 Set under the shade of diverse nitrogen fixing, hardwood and fruit tree species, we plant grafted cacao trees selected for their excellent flavor characteristics. 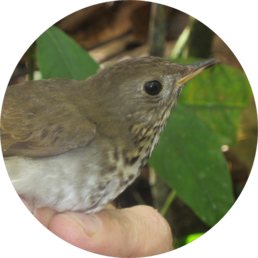 Seventy percent of the land on our bird sanctuary, Reserva Zorzal, is set aside to be forever wild. 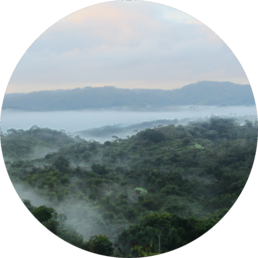 As the Dominican Republic’s first private preserve, we’re a model for other landowners working towards landscape-level conservation and greater access to global markets. 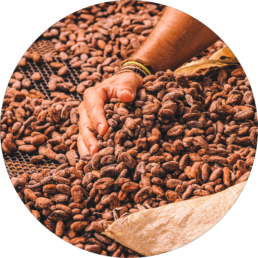 We strive to pick each cacao pod at its optimal ripeness, removing any diseased, damaged or over ripe fruit. The beans are then coaxed from their pods and brought to our Fermentorium where our master fermenter, Heriberto Paredes, nurtures the cacao through a process of natural fermentation and drying cycles to elicit the nuanced flavor profiles found in the high mountain rainforests of the Dominican Republic. We’ve teamed up with thirteen neighboring landowners who share our commitment to reducing climate change through reforestation. By planting trees in the Dominican Republic, we offset carbon emissions from chocolate producers and other manufacturers in North America. Our carbon offset project is being third-party verified under Plan Vivo. We are dedicated to elevating communities in the Dominican Republic. 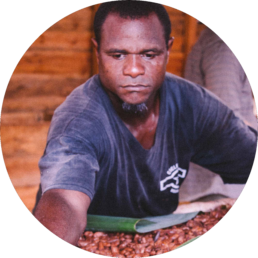 Some of the ways we help are by creating jobs in wildlife monitoring, offering education services and employment on our farm, boosting incomes with the sale of carbon offsets, and supporting our neighboring farms with best practices to garner higher prices for their produce.